Ever since Donald Trump was elected president in 2016, real estate has once again become a topic of interest among prospective American investors. Trump is hardly the only real estate magnate who turned his attention to politics. Former governor of California Arnold Schwarzenegger actually made more money from multifamily property development than from bodybuilding and acting. 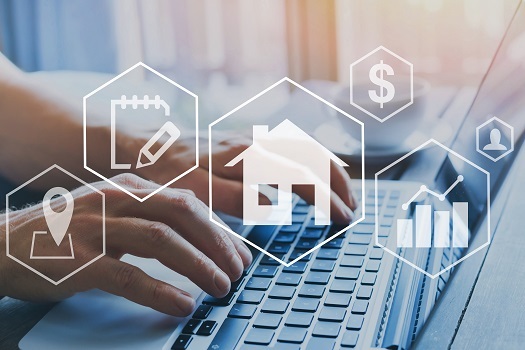 Nearly 18 percent of the U.S. gross domestic product is generated through real estate activity, which means there’s plenty of money to be made in this economic sector. Real estate is an extremely dynamic field for investors. You can choose to approach the market in an active or passive manner, but you need to do so strategically. Here are six recommendations that can help you become a successful real estate investor, brought to you by the real estate professionals from 92010 Urban Living, expert agents with years of specialized experience in buying and selling downtown San Diego real estate. Money management is what separates investors from casual market participants and gamblers. If you’ve previously heard about the rule of never investing what you cannot afford to lose, you already have some knowledge of money management, which essentially consists of determining how capital should be used for the purpose of mitigating losses. Real estate investment clubs bring together like-minded individuals who wish to pool capital resources as well as knowledge and experience for the purpose of increasing success potential. If you’re new to investing and seeking a mentor, you can certainly find one in a group such as the San Diego Creative Investors Association. Whereas stock, commodities, and currency investors must adhere to trading strategies, a real estate investor needs to follow a business plan that starts with a budget, declares objectives, and culminates in an exit strategy. It’s virtually impossible to get into real estate investing without considering property taxes, financing costs, insurance premiums, and general fees. If these expenses aren’t accounted for in your plan, they’ll come up when you’re least prepared to face them. If you’re taking the direct route of acquiring residential properties you can later sell or rent, you’ll need the right partners, which include a real estate agent, mortgage loan officer, and home inspector. If you’re focusing on downtown San Diego condos, your real estate agent partner should be seasoned in this particular market. Modern REITs are essentially exchange-traded funds you can trade just like stocks on the New York Stock Exchange and the Nasdaq, and they’re managed by experts who often share their vision and strategy beyond the prospectus. Analysts who follow instruments such as the Vanguard Real Estate ETF tend to be seasoned property investors whom you can certainly learn from. Similar to Wall Street, real estate markets can be unpredictable. Following the herd can be a good strategy. However, it can also be extremely short-lived, and selling properties isn’t the same as trying to sell off shares at market prices. Timing the market is a strategy that rarely works for real estate investors. These strategies can get you started on the right foot when it comes to real estate investment. If you need more information or advice on investing in the hottest properties in downtown San Diego, rely on the expertise of the seasoned real estate pros at 92101 Urban Living. Give us a call today at 619-649-0368.